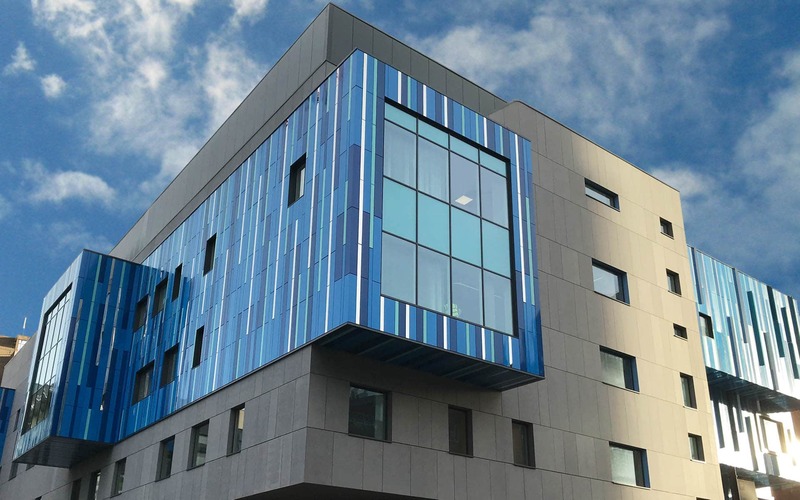 500m2 of Optima Interlocking Wall Plank (IPC) was chosen for Birmingham Children’s Hospital on Whittall Street in Birmingham. 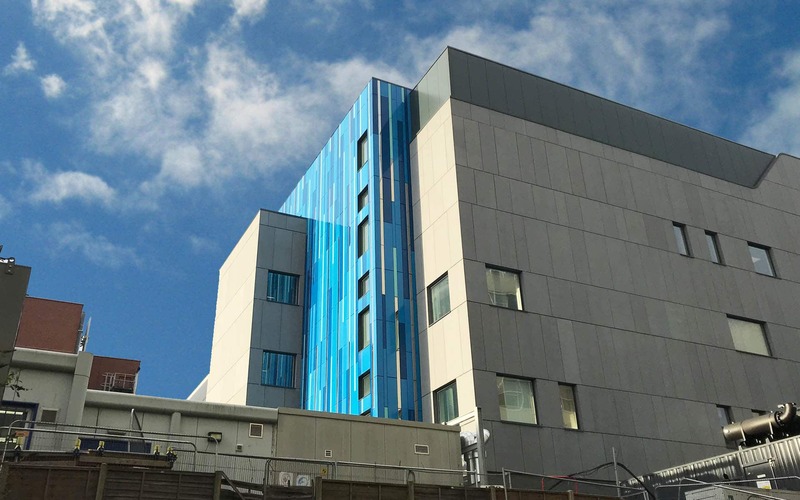 Part of a £37.5 million pound project, the new hospital will be home to the UK’s first pioneering Rare Diseases Centre for children – as well as a cancer centre and three new operating theatres. 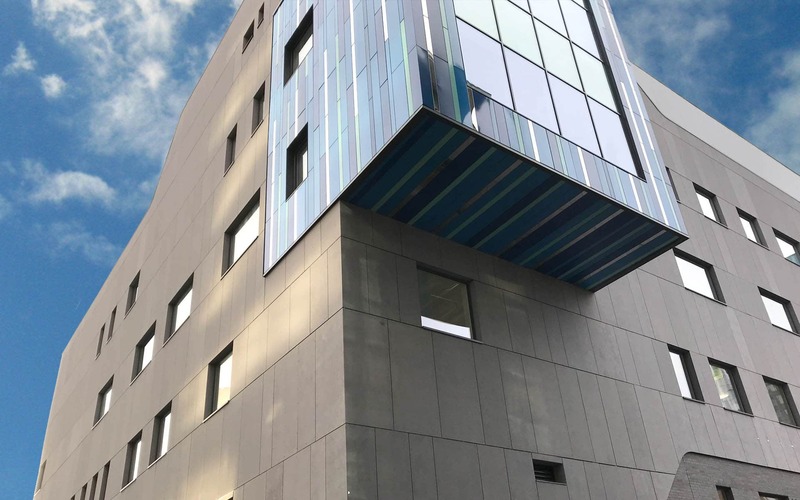 Optima’s IPC rainscreen cladding system was chosen because the Interlocking Pressed Plank can be secretly fixed onto extruded aluminium support framework horizontally, vertically or diagonally in a variety of materials. Sotech worked closely with the client, providing samples in multiple forms including Polished Aluminium and Unatex Anodised. Bright Polished Stainless Steel was chosen over Anodised as they created a mirrored effect. The range of colours provides an aesthetically pleasing look with 3no different colours and 6no gloss levels. 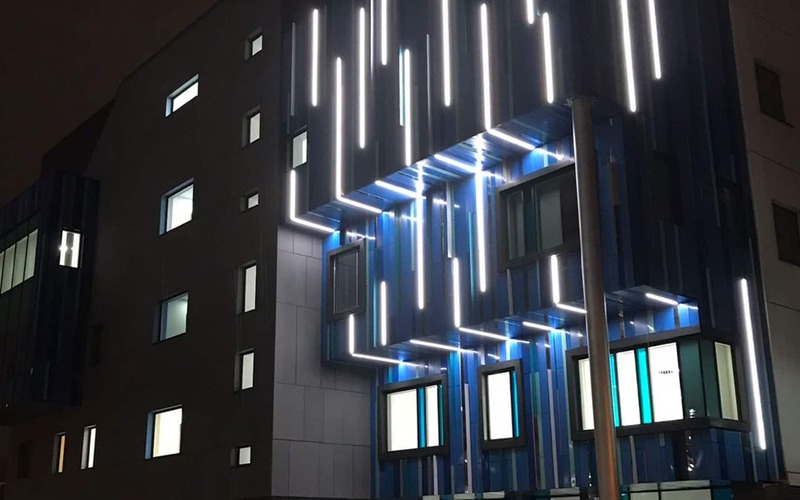 The building looks particularly striking at night due to the lighting behind the panels. The hospital will provide world-class facilities for children and young people; improving care for young people with cancer and rare diseases.